Like a scene out of a movie, a home invasion was ended when the woman followed the thugs instructions... for the most part. The incident started Friday night (August 1st) when a man knocked on the door of a Birmingham, Alabama home and asked the woman if she was selling a pickup truck. After the woman explained she was not selling a truck, the man left. For a moment. The next thing the woman heard was the man forcing his way into her home. The invader than demanded money and told the woman to get her debit card from her purse. The woman complied with his instructions. 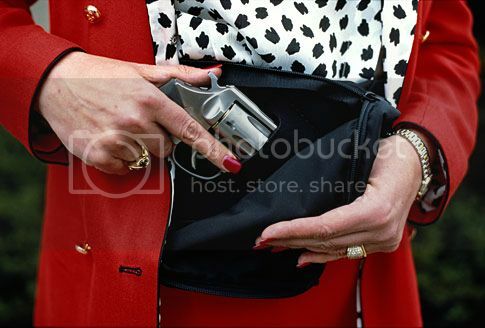 She grabbed her purse and pulled out her debit card with one hand - and her handgun with her other hand. She fired and struck the invader in the hand. Wounded, the intruder fled the scene. He was no longer at the scene when police arrived so local hospitals have been notified to be on the lookout for patients with gunshot wounds.